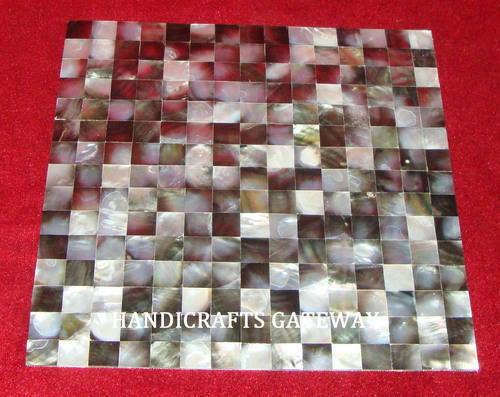 Being a leading manufacturer, we are engaged in processing the fine quality ofMother Of Pearl Mosaic Tile that is processed by sophisticated technology. Our products are very beautiful and are applicable in the flooring of office, houses, restaurants and farmhouses. This pattern to flooring gives the new look to the interior and enhance their beauty. Quality of the products is always checked by our expert teams before they are supplied to our clients thus we ensure the defect free products.